When writing a book on haunted locations in the state of Colorado, the Stanley Hotel simply cannot be overlooked. 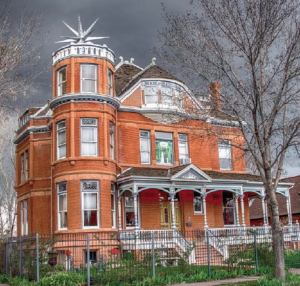 It was ranked as one of the most-haunted buildings in the United States by Denver’s KUSA/9News in September 2014 and is widely regarded as the most haunted place in Colorado. The hotel does not shy away from its haunted reputation and, in fact, thrives under the idea. Guests can even participate in haunted tours of the building and grounds with a guide named Scary Mary. The hotel is also host to numerous horror film festivals throughout the year. Another story that makes the hotel so popular involves Stephen King’s The Shining. King was inspired to write this popular novel, which was published in 1977, after staying in the hotel. Later, in 1980, Stanley Kubrick was so enthralled by the novel that he made it into the popular movie of the same title. 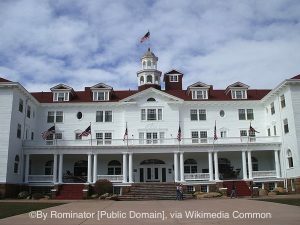 It is regarded as one of the best horror movies of all time, and the Stanley Hotel plays the film on loop, 24 hours a day, on channel 42. This movie, however, was not filmed on location at the Stanley Hotel because of a lack of necessary lighting and power, according to Kubrick. Supposedly King did not like Kubrick’s film and felt that it ignored many of the themes in his book. According to tours at the hotel, King supervised a made-for-TV version of The Shining that was shot at the Stanley and aired in 1997. One of the more noticeable differences between the book and the movie is the giant hedge/maze. King’s version had giant hedge animals that moved and taunted characters, while Kubrick’s movie had an eerie maze. 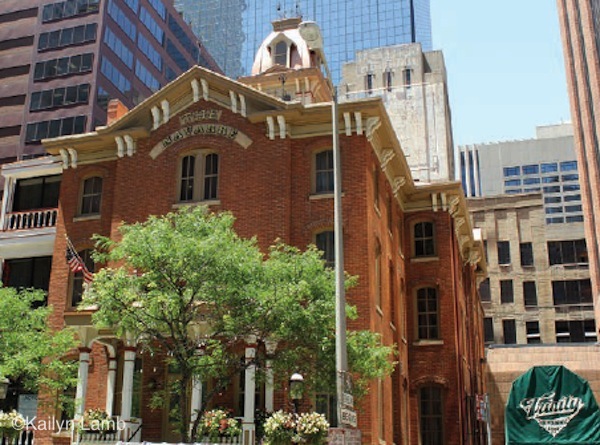 In 2009, the hotel celebrated 100 years of wowing the nation as a successful haunted hotel. No one is sure when the haunts in question began. Several different apparitions and instances of paranormal activity have been reported throughout the building, especially in the lobby. The ghost of Stanley himself, as one might expect, has ostensibly been seen throughout the building. 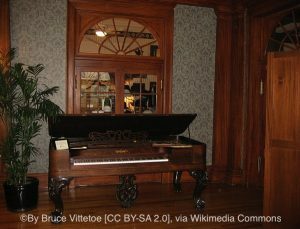 Additionally, his wife, Flora, who was a professional pianist, is thought to be the unseen player that tickles the keys later at night in the Music Room (although some report that it is not Flora but her husband who plays the ghostly tunes). The fourth floor of the hotel is another location where paranormal activity is often reported. Dunraven, the wealthy man from whom Stanley bought the land, is reportedly seen in room 407, accompanied by the smell of his tobacco pipe. It is strange that Dunraven’s ghost should appear here, however, as he never stayed in the hotel and had left the country before it was even built. The lights also seem to have a mind of their own in the room, and there have been reports of a ghostly face looking out the window when the room is not occupied. 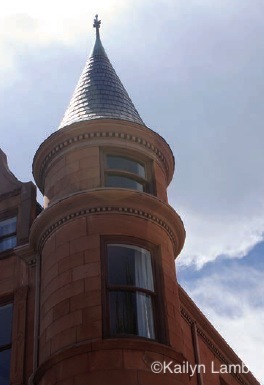 According to an online video tour of the hotel led by Scary Mary, the fourth floor was originally a cavernous attic and was one of the few locations where children were permitted. People have said they can hear the sound of children laughing and running through the halls, especially in room 418. Some have reported the sound of bouncing balls, and others still have reported the feeling of being tucked in at night, a duty given to the children’s nannies. There is a closet that notoriously opens and closes on its own in room 401, and in room 428 people report hearing footsteps on the roof and their furniture being moved around. There is also said to be a friendly ghost called the Cowboy in that room, whose apparition tends to stand near one of the corners of the foot of the bed. 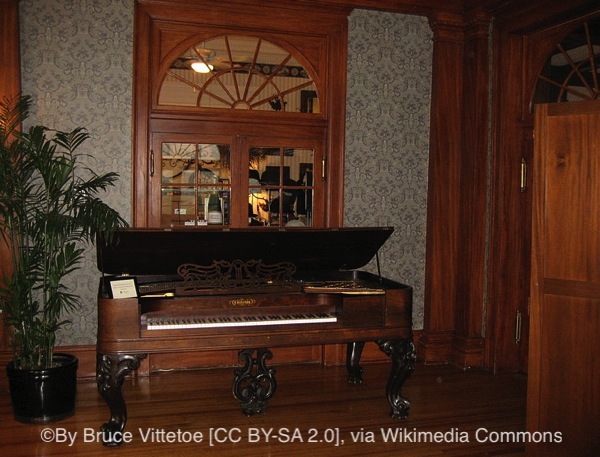 Photos taken of the hotel have been known to depict orbs or even ghostly silhouettes. One area of the hotel, a stairwell, creates a sort of vortex of activity in images, and photos of that area often show greenish orbs. Sometimes, the more human-shaped ghosts that appear in photos are seen in rooms or areas where guests are not allowed or are not staying in at the time. The hotel does not shy away from its reputation as the most haunted hotel in Colorado. As a matter of fact, in addition to daily historical tours, the hotel also gives daily haunted tours. Its website lists several tour packages, including a historical/paranormal combo tour, a nighttime ghost tour, and a five-hour ghosthunt through the most haunted areas of the hotel. All of the tours require advance booking and have separate costs. According to one article, the Stanley earns more than $1 million on tours alone. It also has a “haunted photo gallery” that includes spoof ghost photos of different locations in the hotel. Its online store includes items that pay homage to The Shining with oozing, bloodlike lettering spelling out “REDRUM.” There is even an annual horror film festival there, dubbed the Stanley Film Festival, that was founded in 2013. Much of the hotel’s fame is due to the success of King’s book and Kubrick’s film. 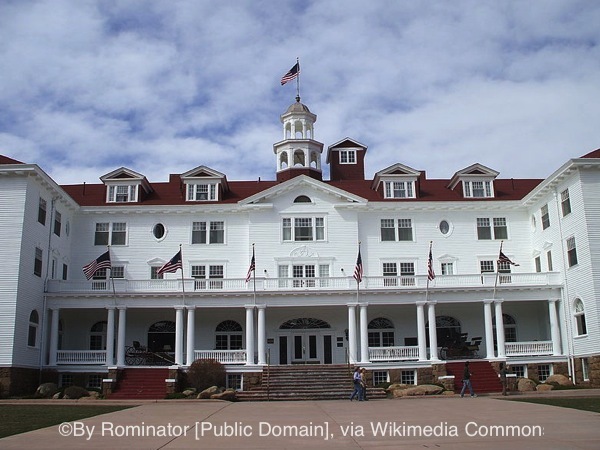 Are the ghosts just there to play along, or is the Stanley Hotel really as haunted as they say? The best way to find out is to visit it yourself. 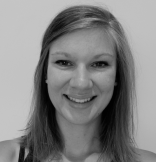 About the author: Kailyn Lamb holds a degree in journalism from Mississippi State University. She has always had a fascination with otherworldly things, and she devours horror movies, Stephen King novels, and ghost stories as often as she can. 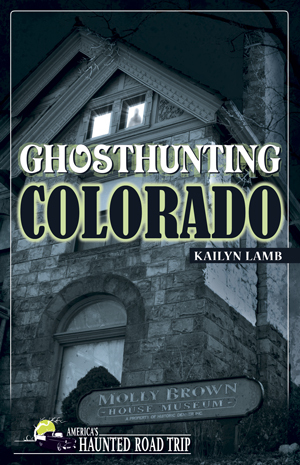 Kailyn lives in Denver, CO.
Not all haunted spaces have their stories soaked in gore, violence, and death. 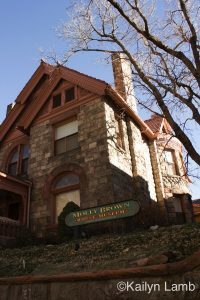 The Molly Brown House Museum, which is possibly haunted by its namesake, provides a good example of this. Margaret “Molly” Brown did many notable things in her life—the most famous of which was surviving the sinking of RMS Titanic in 1912. 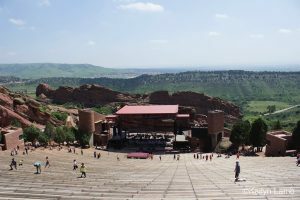 Arguably one of Colorado’s most beloved celebrities, she left her mark on the Mile High City in many ways. Better known for her unofficial nickname, “The Unsinkable Molly Brown,” she inspired both a musical and later a film starting Debbie Reynolds in the ’60s. 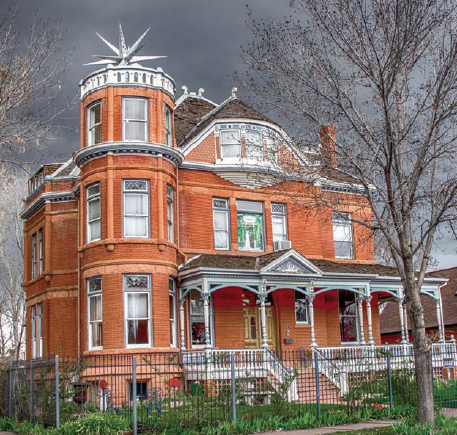 According to one of the Molly Brown House Museum’s tour guides, Catherine Trumpis, the fiery and passionate woman never went by Molly in her lifetime, just Margaret or Maggie. Impressions she left on the world go beyond her sense of spirit, her activism, and the tragedy of the Titanic. Her house, now a historic landmark and museum, may hold her ghost as well. She was born Margaret Tobin in Hannibal, Missouri, in 1867. She would later wed James Joseph “J.J.” Brown in 1886. Margaret was 19 when they were married, and J.J. was 32. 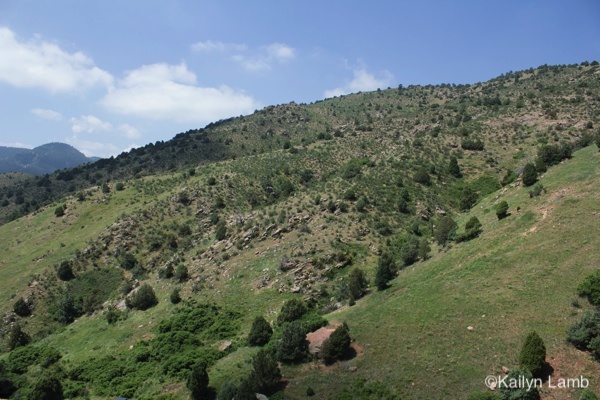 They had two children while living in Leadville, Lawrence and Catherine. They purchased the house for $30,000, the equivalent today of about $833,300. 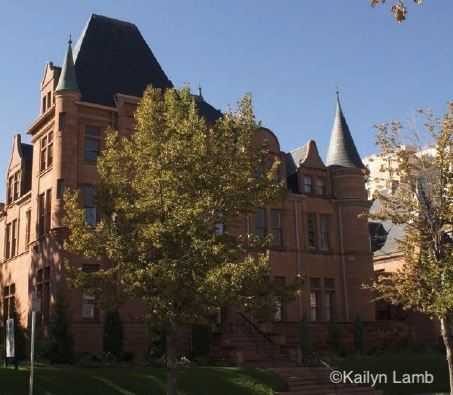 Once the Browns had settled into their new home in Capitol Hill, Margaret started throwing parties to take part in the higher society that Denver offered. Allegedly, J.J. did not approve of these parties and would spend all his time during them in his study smoking cigars. Although no one has been allowed to smoke in any area of the house for several years, guests of the museum’s daily tours have noticed the odor of cigars, specifically on the second floor where J.J.’s study was. It should also be noted that while J.J. and Margaret’s mother, Johanna Collins Tobin, enjoyed smoking, Margaret herself did not, saying it smoked up the house and that she did not like the smell. 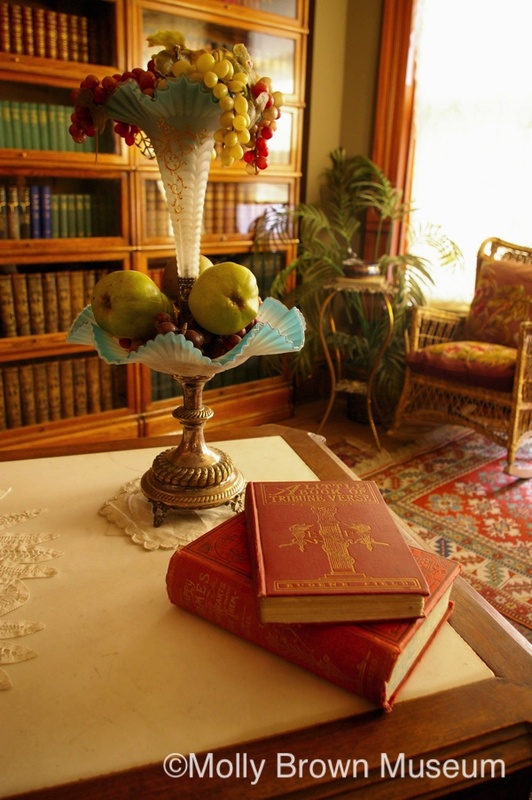 In 1910, she converted J.J.’s smoking parlor where he entertained guests into a library. 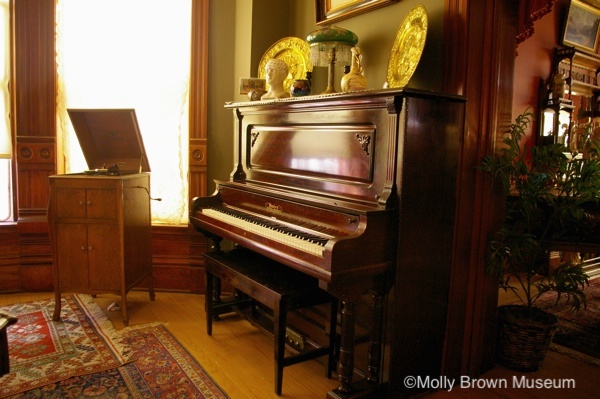 A big reason Margaret was able to convert J.J.’s parlor was because the couple had separated in 1909. The couple never formally divorced due to their religion, but they never reconciled either. After Margaret separated from J.J., she began to travel the world. Aside from her house on Pennsylvania Street in Denver, she had homes in Lakewood, Colorado, and Newport, Rhode Island, and an apartment in New York City. She was in Cairo, Egypt, with her daughter during one of her many trips abroad when she received a telegram from her son, Larry, saying her first grandchild was very ill. She decided to head back to the United States on the first vessel on which she could obtain passage: the Titanic. Most know the background of the sinking of the Titanic, and some even know Margaret’s role aboard it, as a result of James Cameron’s 1997 film, in which actress Kathy Bates played this chapter’s heroine. When Margaret discovered the chaos above deck while the ship was sinking on April 14, 1912, she immediately took control. She began ushering people onto lifeboats and, according to Trumpis, did not get on one herself until forced by some of the ship’s crewmen. Some accounts say that as people in the lifeboats watched the Titanic crack and finally sink, several passengers jumped from the sinking ship into the frozen waters below. Where accounts differ is whether or not Margaret had the men rowing her lifeboat go to help those people. While there is no record of whether Margaret was able to save any people in the water, many attribute the “unsinkable” part of her nickname to her brave attempt. Once the ship had sunk and the survivors were picked up by RMS Carpathia, Margaret was put in charge of the survivors’ committee on the trip back to New York. She was picked for several reasons: People were able to relate to her spiritually as a Catholic in their time of grief, and she was fluent in English, German, Russian, and French. Upon her return to New York, reporters asked why she did not sink with the Titanic, and Margaret is reported to have answered, “Hell, I’m unsinkable.” The rest, as they say, is history. Margaret’s amazing story continues from there. She volunteered as a nurse with the Red Cross in 1917 during World War I, which earned her a French Legion of Honor medal. One of the other notable things that she did in her life was to help create a juvenile court system in Colorado. She also ran for a seat in the senate three times, all before women had the right to vote, and she was one of the first women to do so, with a campaign that promoted domestic rights for women and children. She also acted on the stage in London and Paris. During tours of the Molly Brown House Museum, guests can walk through almost the entire home, with the exception of the third floor, where she used to throw parties. Several of the hauntings, though, actually occur on the second floor of the house, including the aforementioned cigar smoke smell from J.J.’s study. Another common episode involves a rocking chair that sits in what used to be Margaret’s room, which several people claim to have seen rocking back and forth of its own accord. Daily tours take place approximately every 30 minutes during the museum’s operating hours. The museum also hosts special exhibits pertaining to Margaret’s history, as well as special Halloween tours—called Victorian Horrors—and other holiday events. Guests of tours have also claimed to see apparitions that looked exactly like portraits of Margaret that are found throughout the house. One guest even claims that the ghost of Margaret kindly, albeit silently, pointed her in the direction of the bathroom. There have been independent psychics who have visited the museum who claim that Mrs. Brown’s mother, Johanna Tobin, roams the second floor, that J.J. smokes cigars in the back hallway, and that a maid is dusting the library shelves. 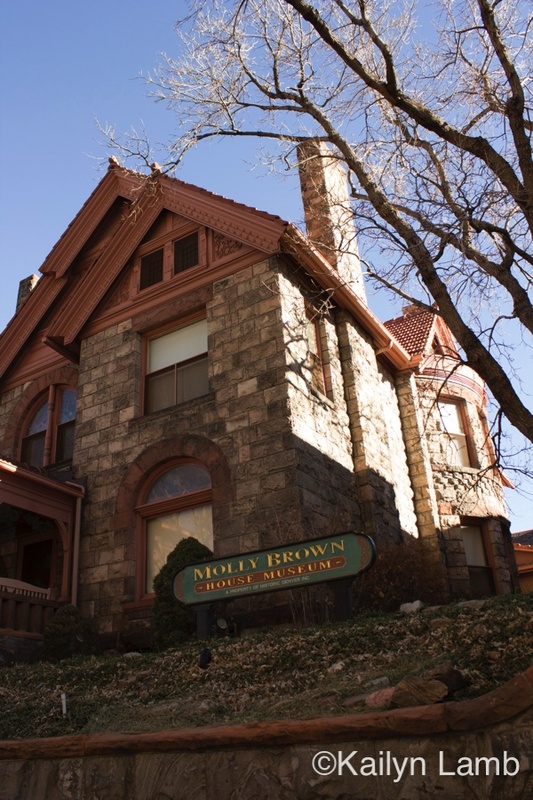 In the absence of violence, the Molly Brown House Museum has acquired the ghost of a fiery, strong woman—and maybe the occasional sign of disapproval from her husband. But her presence does beg the question of what makes her stay. Maybe she feels as if her work of fighting for the rights of others is not yet over. More than likely, of course, we will never know. Join her in investigating the history of some of Colorado’s most haunted locations, and you might find more than gold in those hills. 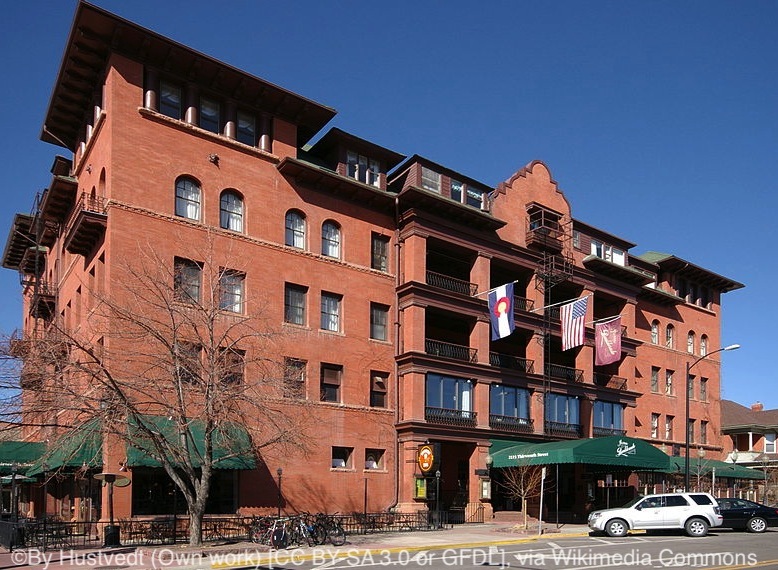 When the hotel originally opened, Boulder was a dry county and would be until 1967, when the ban on liquor was repealed. Two years later, the hotel had remodeled its basement to open the Catacomb Bar (now called License No. 1). It was the first organization in the city to obtain a liquor license after the law was repealed. 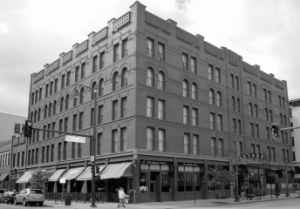 Like many old hotels, the Boulderado is thought to be home to a number of spirits of a different kind, and many staff members have had paranormal experiences in the building. Many of the stories center around rooms 302 and 304, which are next to each other. When guests complain to the front desk about haunted activity, these rooms are the culprits most of the time. The rooms have a connecting door that makes them a popular option for some guests, and room 302 has a porch, again making it a desirable room. Many haunted-tour guides and employees think that paranormal activity in this particular room is caused by an attempted double suicide (although I have not seen any record of this story). According to the story, a man killed himself on the bed using chloroform while his wife was taking a bath. When the woman entered the room and found her husband dead, she attempted to take the rest of the chloroform herself, but there was not enough left for a fatal dose. There are also some who say the room has hosted “multiple suicides” over the years, another one supposedly being a death by self-inflicted gunshot, but this tale is not as widely told as the one of the chloroform suicide. Reports of activity in the adjoining suites claim that the lights and televisions will turn on by themselves. The old grandfather clock in the room has also been known to act strangely from time to time, and it will wildly spin its hands before landing on the correct time. 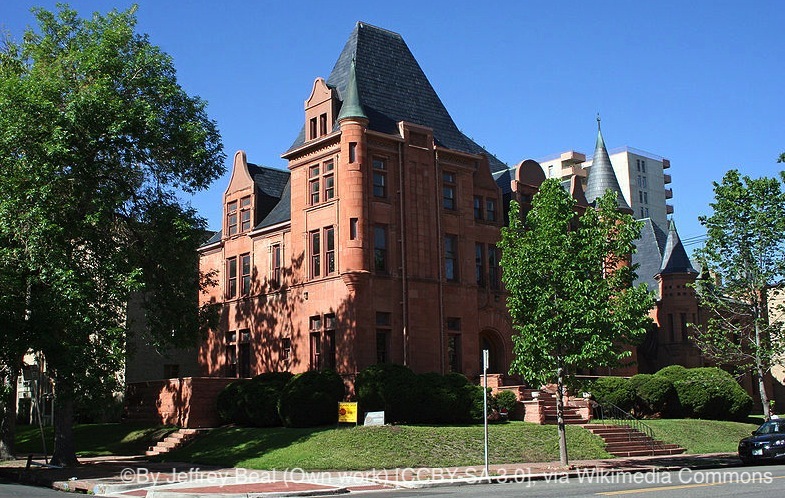 According to the Boulder County Paranormal Research Society, a staff member was taking an American Indian guest to room 304, the only room available that night, and that visitor would not even touch the door. That person claimed to feel a spiritual presence in the room and left to stay at a different hotel, even though it was very early in the morning. Because of all this, the hotel has been known to keep the rooms open to the public on occasion for ghost tours. 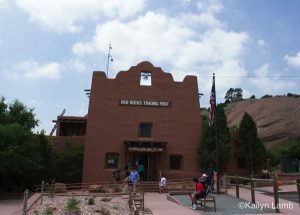 One of the other spirits believed to cause activity in the building is a woman in a white dress who has been seen walking around the hotel’s hallways. Kitchen items have been known to move around for no reason. Sometimes windows and doors will open on their own, despite being locked. One staff member said that while staying in room 306, he woke feeling like something was holding him to the bed so that he could not get up. There are also unexplained scratching sounds on the walls. Boulder has long attracted visitors looking for a mountain getaway in Colorado. 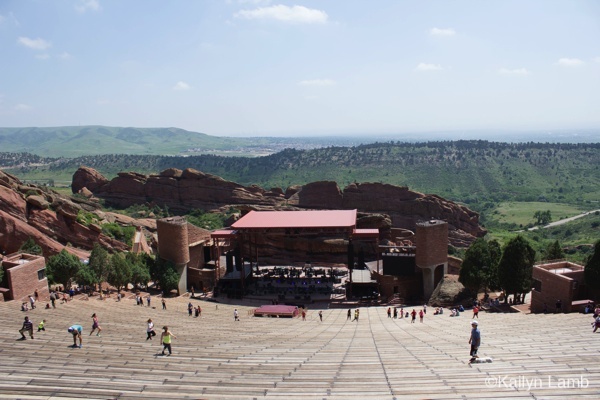 The city lies at the foot of the Rocky Mountains, is a short drive from several skiing hot spots, and is right in the middle of a drive from Denver to Estes Park. 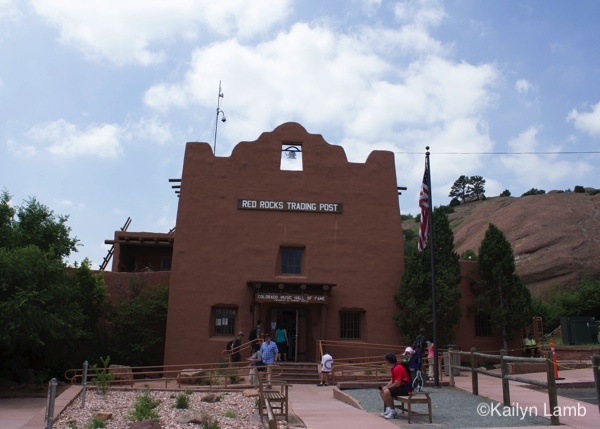 Paranormal enthusiasts looking to hit as many haunted locations as possible (and still make it to the Stanley Hotel) can use this as an in-between location for their route.